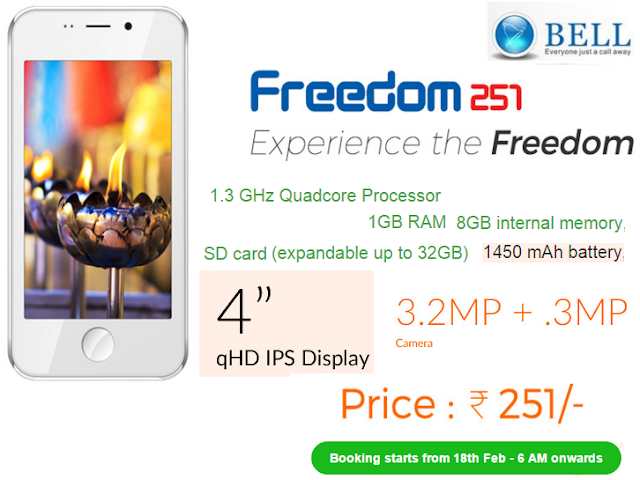 You can now Buy / Order Freedom251 Worlds Cheapest Smartphone through Online for Rs. 251 (USD 4) from www.freedom251.com. Booking / Pre Order starts from 6 AM on Thursday, 18th February 2016. How to Buy / Book Freedom 251 Smartphone Online? The Worlds Cheapest Smartphone can be buy online from the website www.freedom251.com by clicking on Buy Now button on the Top of the Site. Shipping Charge: Shipping charge for Freedom 251 is Rs 40. Delivery Period: Delivery of the item will take 4 Months.